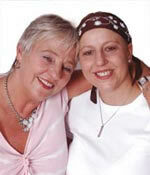 Look Good...Feel Better helps women cancer patients in the most practical and positive way. Women diagnosed with cancer are often faced with distressing side-effects during their treatment, some of which can change their appearance and body image. Self-confidence and self-esteem can be at an all time low. Look Good...Feel Better provides free make-up workshops through a network of hospitals right across the UK and in 16 countries worldwide. Specially trained volunteer beauty professionals take small groups of patients through a 12-step skin care and make-up regime designed to combat the visible side effects of their treatment. At the beginning of each session each person is presented with a gift of seventeen products, donated by the cosmetic industry, which they are shown how to use to best effect. These gifts are then theirs to take home so that they can continue to practice making the very best of their appearance. The Cosmetic, Toiletry and Perfumery Foundation was formed in 1994 and is supported by most of the national and international cosmetic companies in the UK. Over 70 members of the Foundation support the charity by donating money, products and the expertise of their specially trained volunteer beauticians. Ladies attending a workshop forget about their illness and enjoy an afternoon of pampering, fun and laughter. They meet others going through similar experiences and, most importantly, look and feel fabulous when they leave the session. The Pink Ladies Breast Cancer Support Group are delighted to support this initiative here in Guernsey for all female cancer patients. A bi-monthly programme is available to patients who have registered with the LGFB charity locally and have been selected to participate in one of the events.